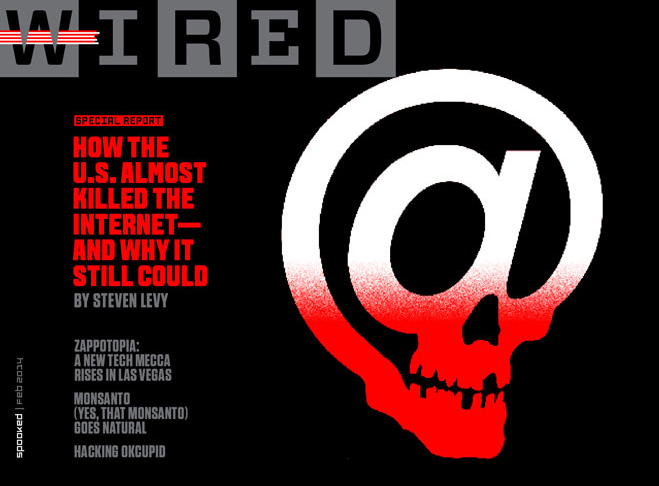 A skull which is also an ampersand: the monthly reference magazine of new technologies has selected a visual shocker. The above cartoon was featured on the Yahoo! 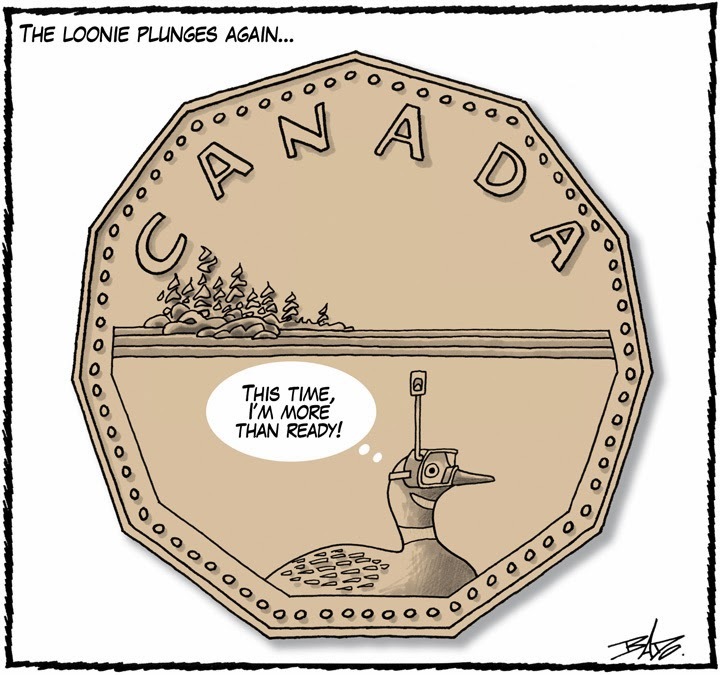 Canada website today. Steven Heller on the Print website. Canadians are using this website to petition the Government to develop a Design Advisory Board for the 150th celebrations identity. We are recommending that the board have representation from each of Canada’s three design associations (GDC, SDGQ, RGD). Use the petition form to make your voice heard, show your support for Canada’s professional design community, and send a clear message to Ottawa about the development of the identity for Canada’s 150th anniversary celebrations. 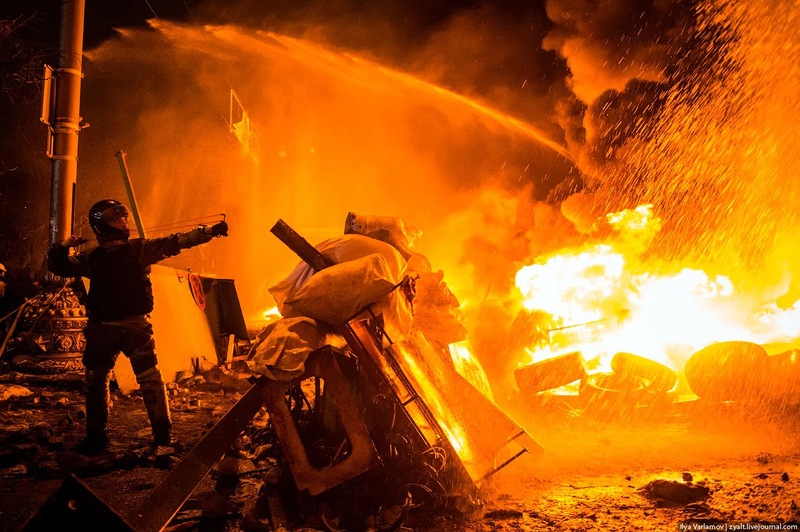 A first hand photographic report here. 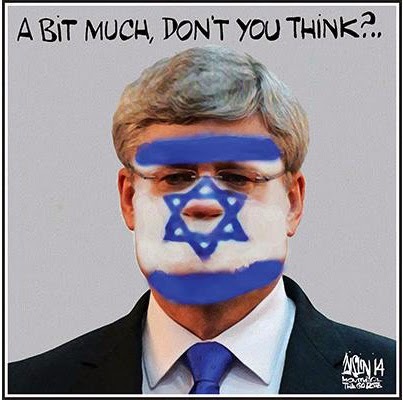 Frank Dimant, CEO of B’nai Brith Canada, who traveled with Canadian Prime Minister Stephen Harper this week to Israel, on Wednesday condemned an editorial cartoon by Aislin published on Tuesday in the Montreal Gazette, showing the prime minister defaced with an Israeli flag. Excerpts from an April 1993 interview with Gary Groth in The Comics Journal. 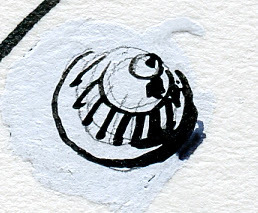 David Apatoff on his blog Illustration Art. 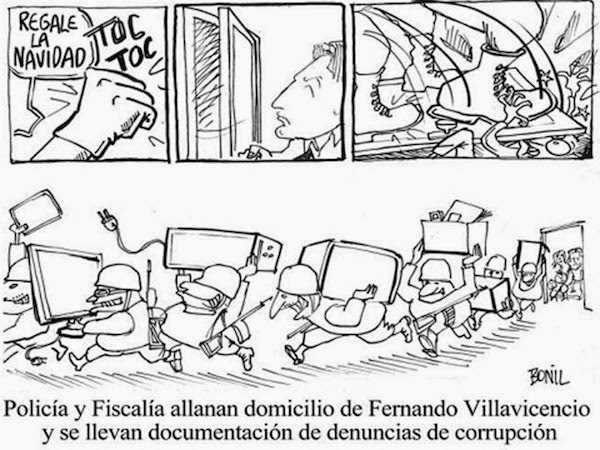 Ecuador's new media regulator, considered a censorship tool by the opposition, has opened proceedings against a press cartoonist whose drawing was considered offensive by President Rafael Correa. Xavier Bonilla, who works for El Universo, one of Ecuador's main newspapers, which is known for its critical tone against the president, told AFP he had received notification of a summons January 15. 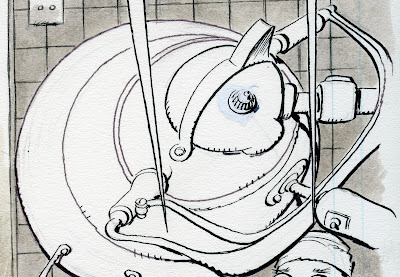 The drawing desk of Jim Borgman. The fine folks over at King Features posted photos of some of their talent’s studios. 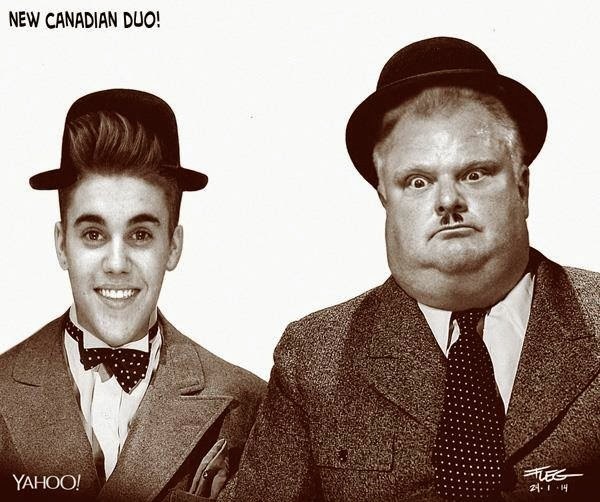 I love photos like these. What stands out to me is the lack of the drafting tables. You know, the old tilted tables where you’d also dip a brush into an ink bottle and try not to spill the bottle on said desk so it wouldn’t run down the desk, across the artwork and on to your lap? 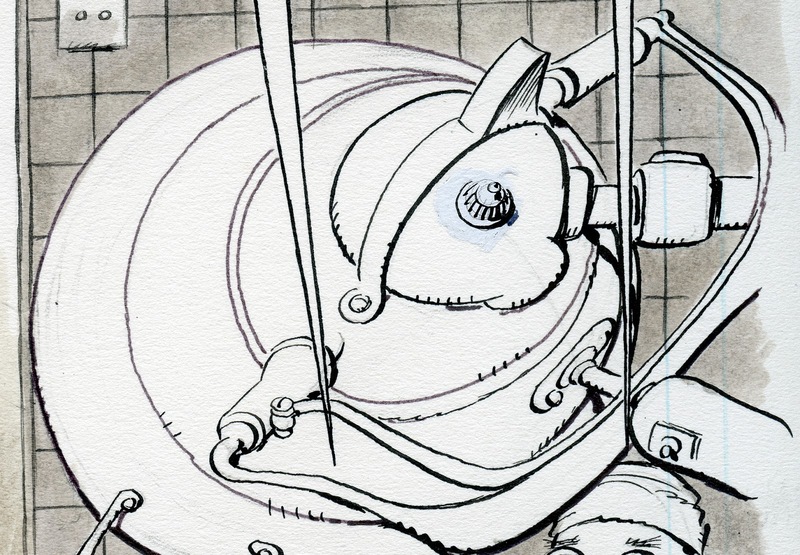 By my count – more than half of the cartoonists (seven out of thirteen) featured here are working on normal office desks and most of those within arms length of a computer to check Facebook, Twitter and the email from editors asking if they had any concept of deadlines. Sure, some might have a portable board (Jim Borgman, Mort Walker, but the ol’ stand alone drafting table is the minority in these photo samples. Next thing you know, they’ll be drawing directly on those computers! 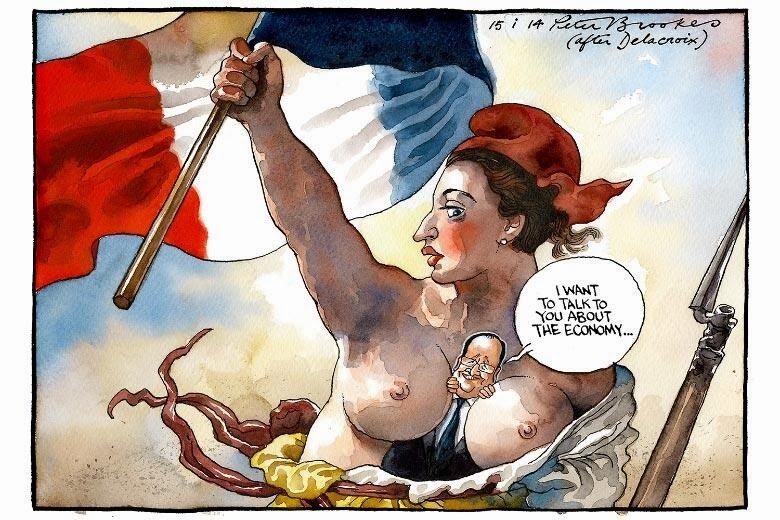 ...this wonderful cartoon by Peter Brookes. 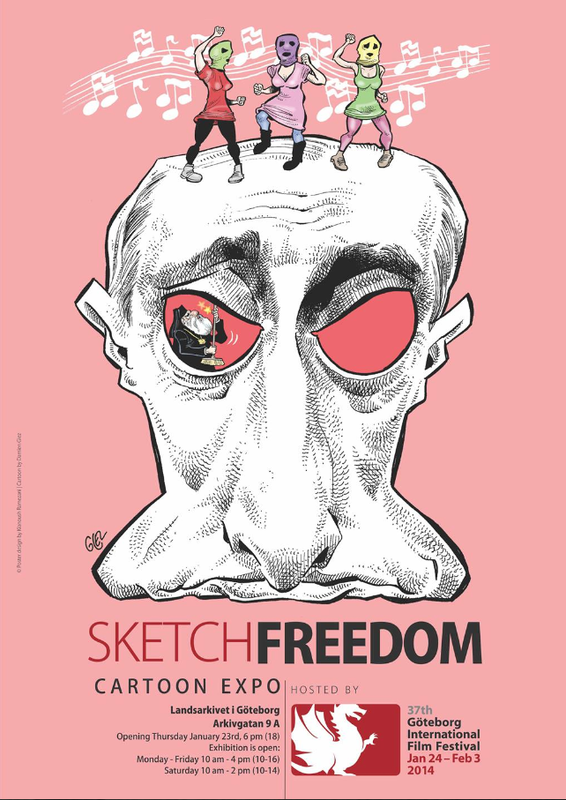 The 37th Göteborg International Film Festival (January 24-February 3) will host the "Sketch Freedom" Cartoon Exhibition with cartoonists Liza Donnelly, Cristina Sampaio, Ann Telnaes, Damien Glez, Vladimir Kazanevsky, Riber Hansson, Kianoush Ramezani and Jaume Capdevila. I stopped doing drawings on paper in November of 2011 (I now draw directly on computer) so my original art from previous years is now all that will ever be available. A friend of mine has begun offering one image per week on eBay, which is a great way for you to get one for less than I normally charge. 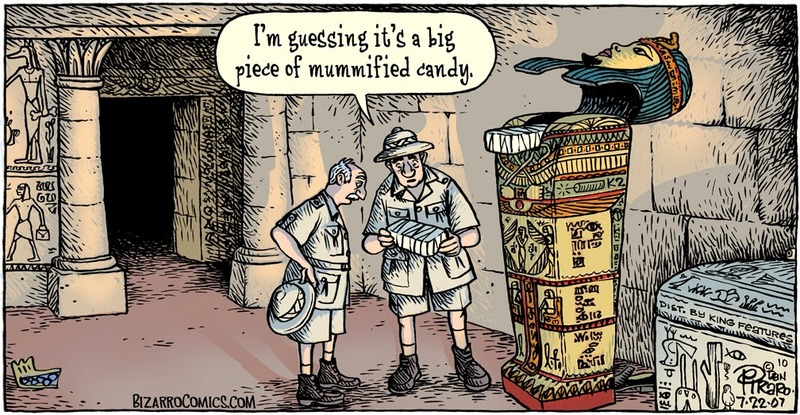 Here’s this week’s eBay listing of a Sunday cartoon which I have featured on this blog. I charge $600 for these but as I write this, the bid is less than $50! I’m late in posting this so there are only a couple of days left on this sale, I think. Hop on over there and pick it up, I need the money! Scott Bateman’s infographic on the recent cold spell that he posted on his Tumblr site last Friday ended up in USA Today yesterday – kind of. The infographic that ran in USA Today was cleaned up (language), but essentially left intact (see below). The incident was reported by Jim Romensko. USA Today’s editor-in-chief David Callaway apologized to Scott and assured that he was addressing the issue to make sure Scott receives the proper credit and the lapses inside the paper were addressed. Many people know Rube Goldberg as an adjective — a shorthand description for a convoluted device or contraption. But Rube Goldberg was a real person — one who earned a Pulitzer Prize for editorial cartooning and who captivated imaginations with drawings of complex chain reactions that completed the simplest of tasks. 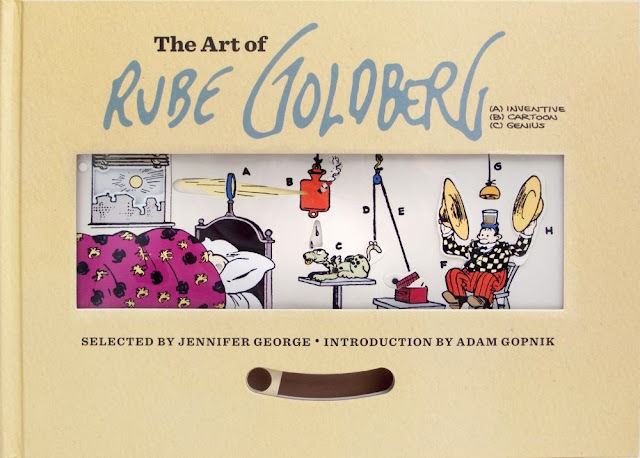 Goldberg died in 1970, but Jennifer George, his granddaughter, has collected the zany world he created in a coffee table book, The Art of Rube Goldberg: (A) Inventive (B) Cartoon (C) Genius. 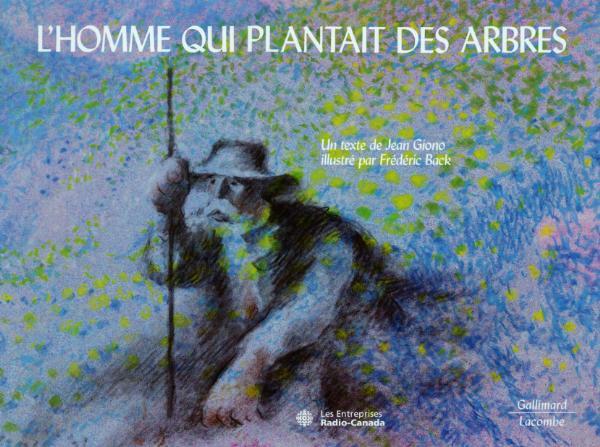 Oscar-winning animator of “The Man Who Planted Trees” started career as cartoonist on Quebec TV. Frédéric Back, the animator best known for his Academy Award-winning short films, The Man Who Planted Trees and Crac!, died December 24 after a long battle with cancer.